First or second Tuesday of the month - an evening of painting from 6.00 pm until about 9.00 pm - plenty of time for you to unwind. This is a chance for you to take a bit of time out for a sociable and relaxing evening of painting - no pressures, just a chance for a bit of "me time". Come with others or be brave and come on your own; we are a friendly bunch and tend to group people together so you will not spend the evening alone (unless you are seeking a little solitude of course). We will always run through the basics with you on the night and can talk about other techniques if you would like. 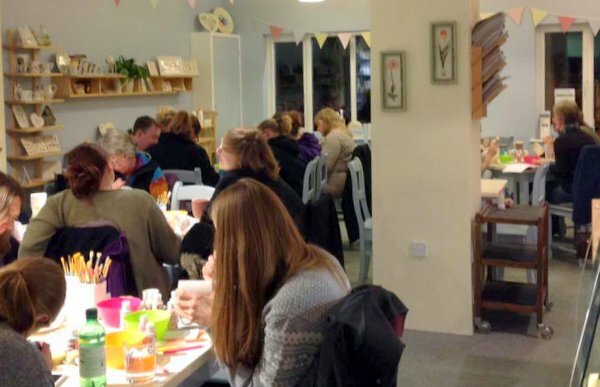 Pick your ceramic and relax into the evening with a little painting accompanied by a drink and one of your delicious cakes. You may bring wine if you wish - we can provide the glasses. Normal prices apply - there is no additional fee for the evening. Please ring and let us know you are coming.